Urban Discoveries presents: Burger Bros. This article is part of the “Urban Discoveries” series, in which we seek and discover interesting and well designed places to eat and drink around Europe and especially in Vienna. Again I worked together with my colleague and dear friend Maximilian Martsch, who is a researcher and works on the topic of food history. The pictures were shot by myself. Thanks to the folks at Burger Bros. for the invitation and the nice talk. The Bermuda Triangle in Vienna is well known for many things, including bars and drunken teens but certainly it was never known for good food. Is this about to change? We visited the new Burger Bros. restaurant to investigate. The franchise subsidiary opened its doors just a couple of months ago and it’s the latest addition to the Burger Bros family. The small Vienna based franchise already has two other locations in the city, one at Hauptbahnhof and another one in the Wien Mitte shopping mall. All three restaurants have a similar design to establish a corporate identity which is easily recognizable for the costumer. 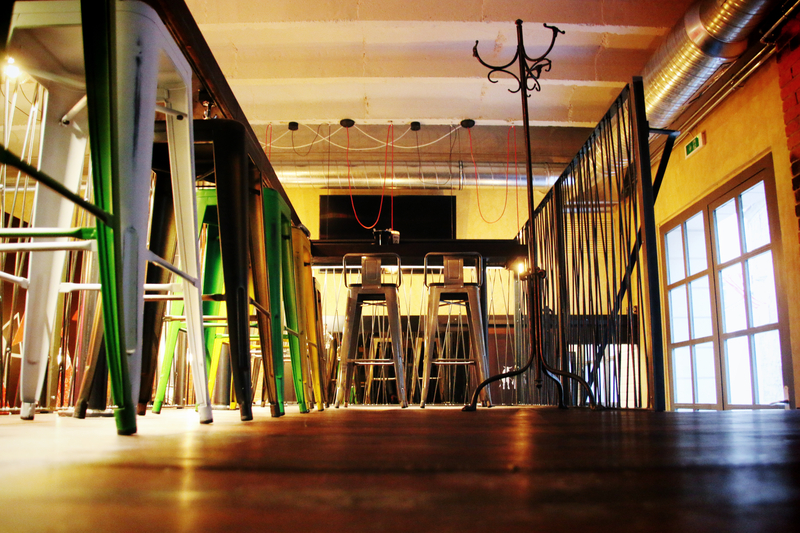 Nonetheless, the interior of Burger Bros Bermuda doesn’t feel generic or uncomfortable. 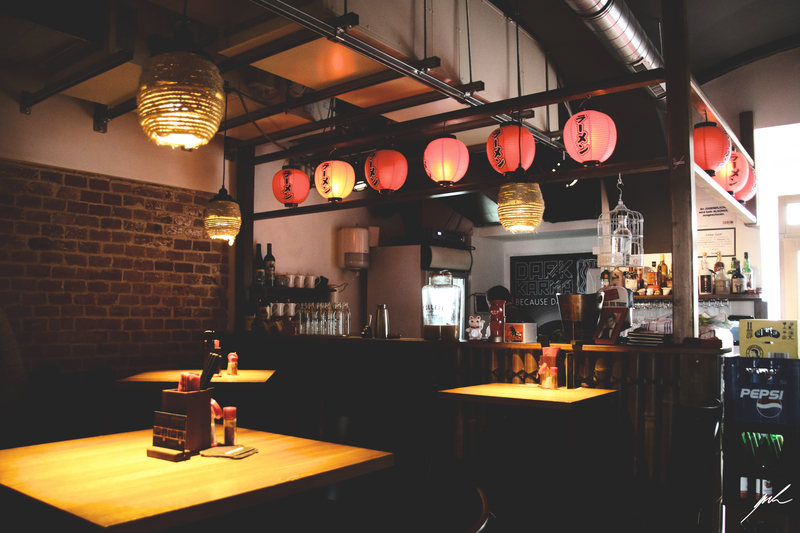 There are a couple of nice design elements which create a distinct, relaxed atmosphere like the hand-painted walls, the colorful bar chairs and the ceiling lamps. Also make sure to use the washrooms, so you don’t miss out on the hilarious Chuck Norris quotes on the doors. 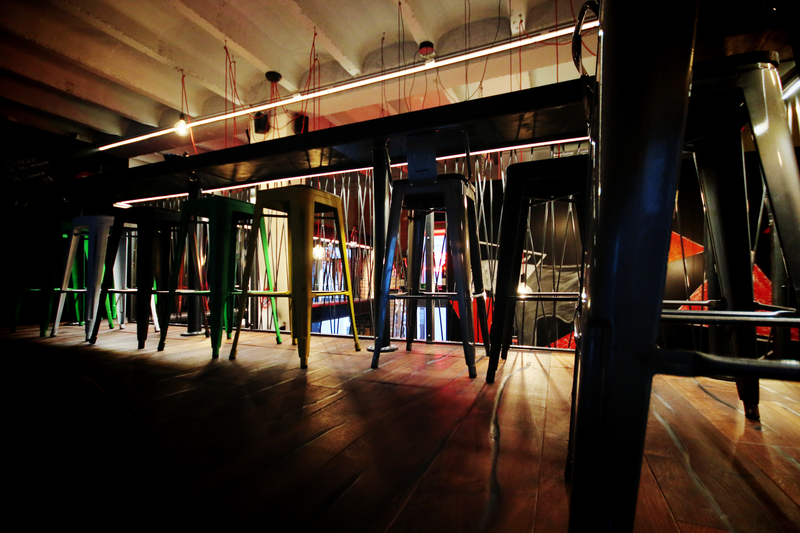 But certainly the design is not or at least not the only reason to visit Burger Bros Bermuda – it’s their food. During the last years, several premium Burger restaurants sprung up around Vienna, saying goodbye to the burger as the classic incarnation of the fast food generation closely linked to global chains like McDonalds, Burger King and co. Fitting right into this trend, Burger Bros puts an emphasis on quality and innovation rather than simply price. All their burgers were created by trained (starred) chefs, using only fresh and regional ingredients. Especially the quality of beef is key to a great burger, at Burger Bros they use Black Angus or Simmentaler beef for their burger variations. And let me tell you, you can really taste the difference! The beef patty is thick, juicy and simply delicious. It’s the heart of the burger and therefore calls for quality. The second most important part of the burger is arguably the bun. The soft brioche buns are not made in house but delivered to all three Burger Bros locations in the morning. The bun has a nice, soft, lightly toasted texture, which perfectly accompanies the beef patty. 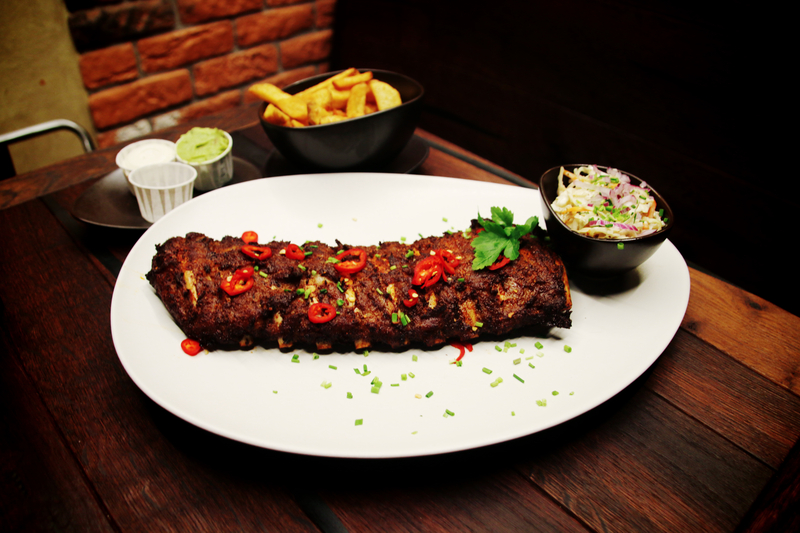 Beside their delicious burgers, they also offer tasty ribs, steaks, hot dogs and a variety of salads and sides. 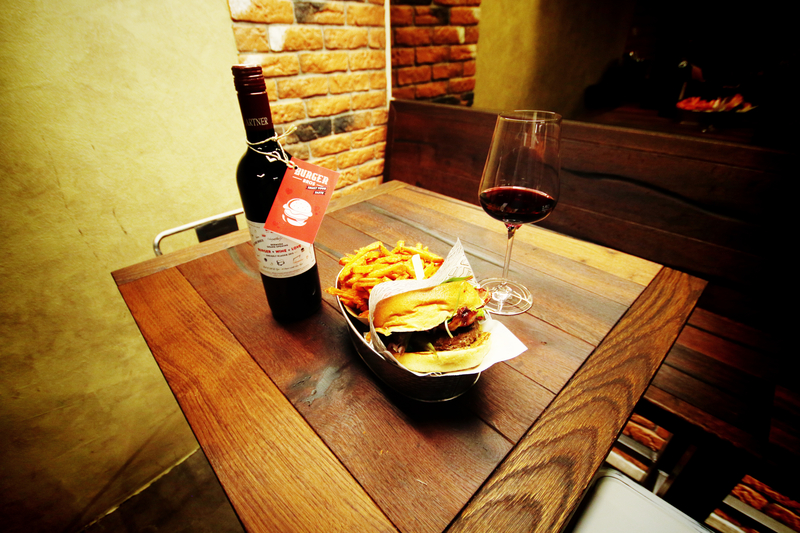 If you are up for a special treat, order their Rossini burger with foie gras or go for the burger of the month. What goes better with a burger than a nice cold one? Aside from the obligatory draft beers, Burger Bros Bermuda offer an excellent selection of national and international craft beers. 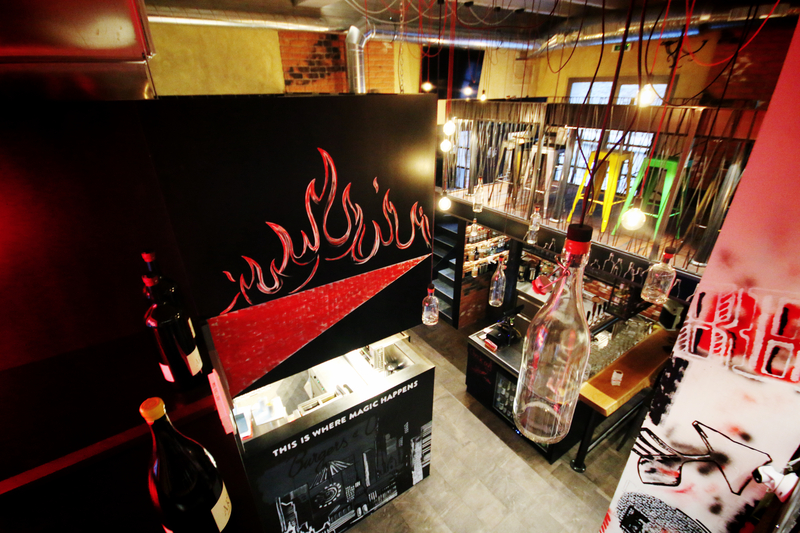 If you are more into wine, they also have a great wine selection to make sure you find the right pairing for your food. Overall, they have a nice range of alcoholic drinks. Cocktails and shots are on the menu as well for a very reasonable price. Make sure to check out their changing deals on food and drinks. For instance, on Wednesday they have 30% on craft beers. If you are not just looking for a quick, cheap bite, but rather for a high-quality, tasty Burger and a nice drink in a relaxed atmosphere, Burger Bros Bermuda is a real tip for you. From May on, you even can enjoy their food and drinks outside in their pub garden. 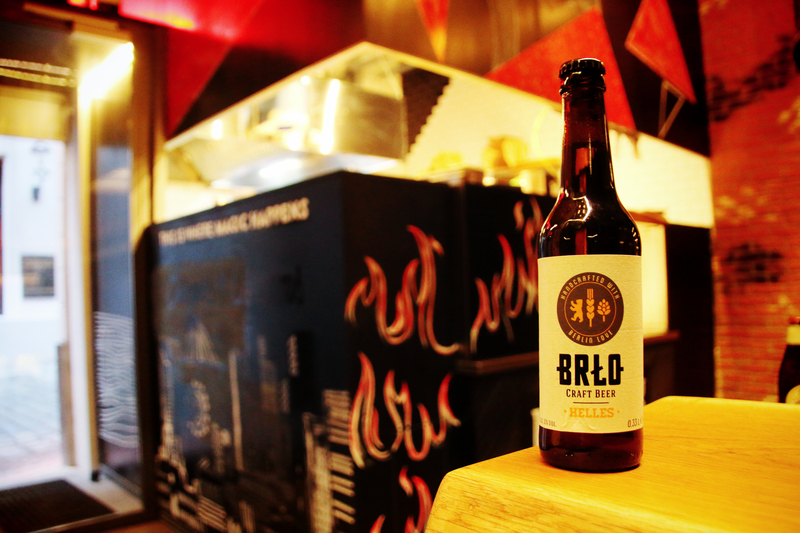 For more information and opening hours, visit http://www.burgerbros.at. Asked about a common Japanese dish most people would say Sushi instantly. Travelling Japan though you notice that Sushi is not as prevalent as you would think (though when you get it it’s so much better! A must at the fish market in Tokyo) and you learn that the true Japanese national dish is something else and it is called Ramen. Japanese people really love Ramen. Basically Ramen are noodles in a bowl. They are sold in small restaurants specialised just in this particular dish. These places are very cozy and often run by families. Sometimes you pay at a machine and make your order there handing the receipt from the machine directly to the cook. 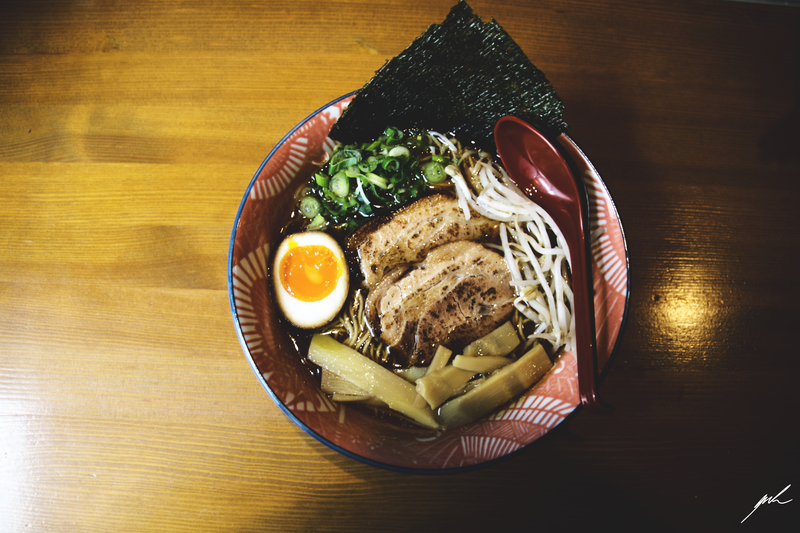 Better known in the West is the instant variation of the dish: Instant Ramen. But the real thing is so much better. 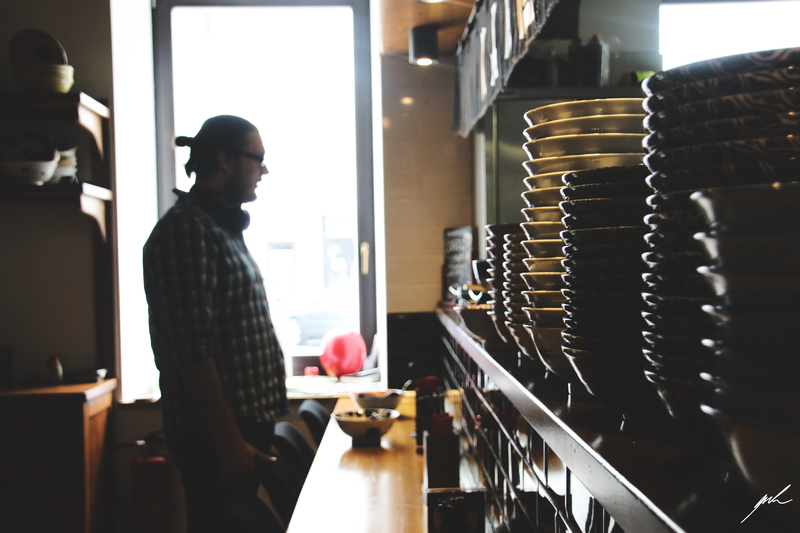 In Vienna you can try them at Karma Ramen close to Kettenbrückengasse (subway U4). 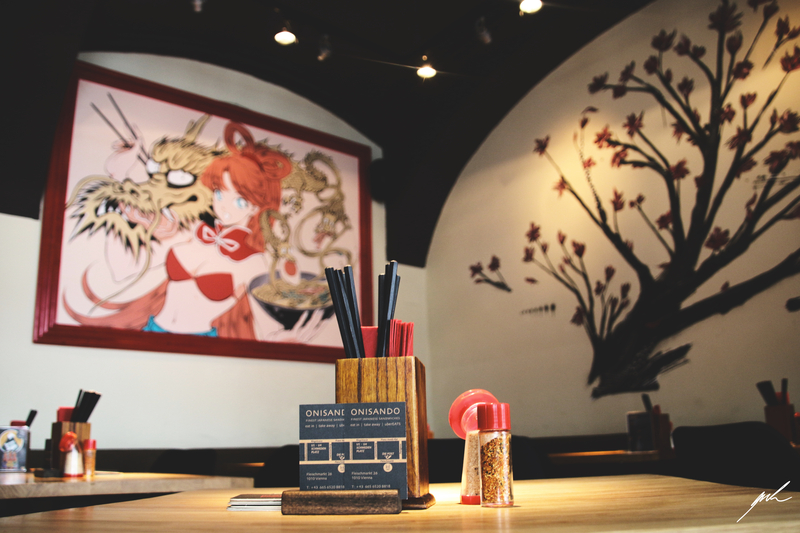 Not only you get delicious food there but also a nice atmosphere. 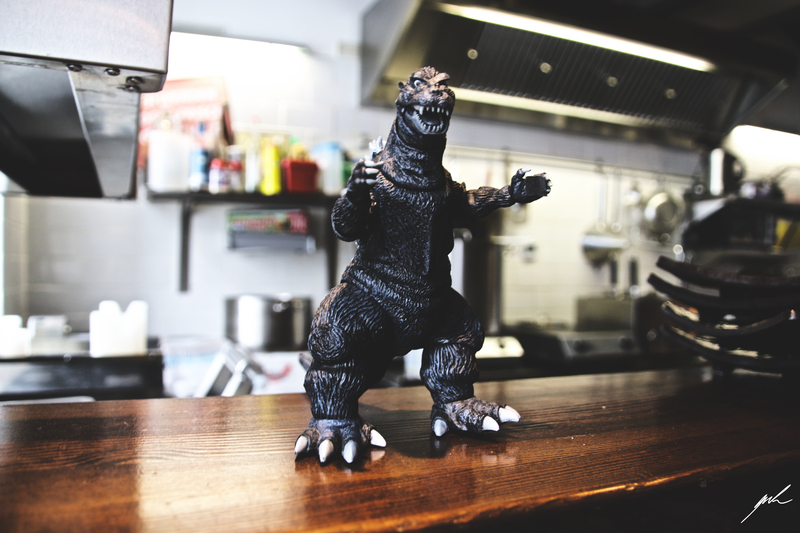 The place celebrates Japanese influenced pop culture with posters and Godzilla. 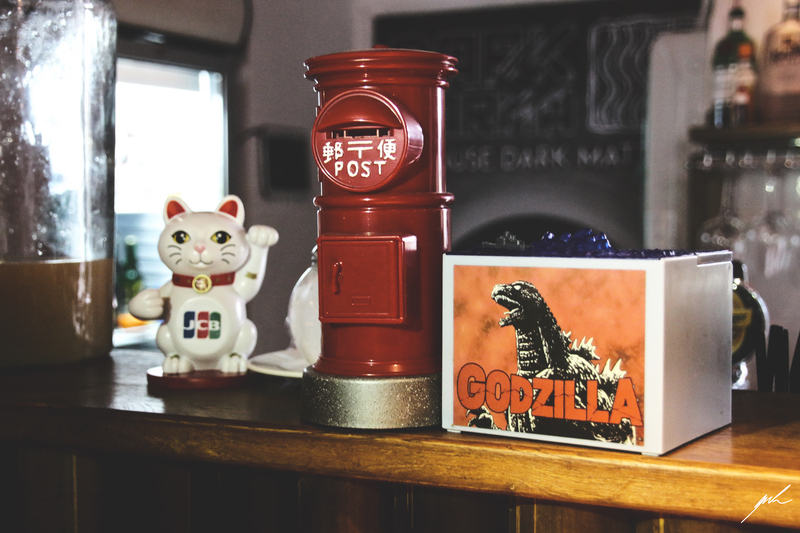 Because there is never enough Godzilla. Right? 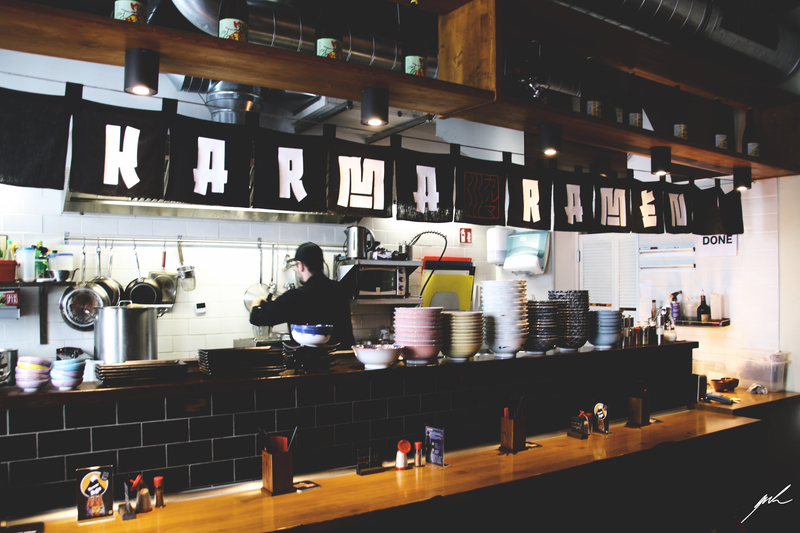 Karma Ramen is open from Monday to Saturday from 11:30 am to 14:30 pm and from 18:00 pm to 23:00 pm and Sunday from 11:30 am to 16:00 pm.